All students are invited to the 29th Manila International Book Fair which will be held at Halls 1-4 of the SMX Convention Center, Mall of Asia Complex, Pasay City from September 12 to 16, 2008 at 10:00 a.m. to 8:00 p.m. This is your chance to become a part of the country’s premiere book event where non-stop excitement is packed with endless learning. As you stroll and shop in these halls, you will find more than 300 booths of both local and foreign exhibitors which offer the latest titles and hard-to-find books. You may also avail of discounts & freebies. Free admission tickets are available at the Reference Section of the UP College of Engineering Library II (limited tickets available). For more information, please follow this URL: http://www.manilabookfair.com/. You may also contact the Reference Librarian at (02) 981-8500 local 3251-3252 or at (02) 434-8638. You may send us your email at library@engglib2.upd.edu.ph. Or you can just post your comments here. This book covers the development and testing of embedded software from many different angles and using different programming languages. Optimization of code, and the testing of that code, are detailed to enable readers to create the best solutions on-time and on-budget. Bringing together the work of leading experts in the field, this a comprehensive reference that every embedded developer will need! The CD-ROM accompanying the text contains source code for the design examples and numerous design tools useful to both students and professionals. A detailed laboratory manual suitable for a lab course in embedded systems design is also provided. Ancillaries also include a solutions manual and technical slides. Fundamental concepts of electromagnetic field theory are presented as they relate to modern engineering applications. For practicing engineers or can be used as standard textbook. Guide to network defense and countermeasures, 2nd ed. Guide to Network Defense and Countermeasures, 2E is the second of two books that are required for Level One of the Security Certified Program (SCP). This edition has been revised with updated content and maps clearly to the exam objectives for the current Security Certified Network Professional (SCNP) exam. Although the primary emphasis is on intrusion detection, the book also covers such essential practices as developing a security policy and then implementing that policy by performing Network Address Translation, setting up packet filtering, and installing proxy servers, firewalls, and virtual private networks. This text presents the latest developments in high performance switches and routers, coupled with step-by-step design guidance. The authors discuss the main functions of the line cards of a core router, including route lookup, packet classification, and traffic management for quality of service control. The bulk of the text is then dedicated to packet switching designs. Coverage includes the various available architectures, algorithms, and technologies. Among the topics covered, readers will find detailed discussions of the latest innovations in electrical and optical packet switching. The final chapter discusses state-of-the-science commercial chipsets used to build routers. Readers learn their architecture and functions, using the theories and conceptual designs presented in the previous chapters as a foundation. High-speed VLSI interconnections, 2nd ed. In the decade since High-Speed VLSI Interconnections was first published, several major developments have taken place in the field. Now, updated to reflect these advancements, this Second Edition includes new information on copper interconnections, nanotechnology circuit interconnects, electromigration in the copper interconnections, parasitic inductances, and RLC models for comprehensive analysis of interconnection delays and crosstalk. Complete coverage of the entire industrial electrical field from the basics of electricity to equipment, to troubleshooting and repair. Packed with over 650 illustrations, latest codes and regulations, study questions and review problems. In this book, the authors present in a structured way the basic underlying concepts of most interconnection networks, with representative solutions that have either been implemented in industry or proposed in the research literature. Introduction to electronics, 5th ed. This book provides readers with fundamental assembly language programming skills, an understanding of the functional hardware components of a microcontroller, and skills to interface a variety of external devices with microcontrollers. Chapter topics cover an introduction to the 68HC12, 68HC12 assembly language programming, advanced assembly programming, fuzzy logic, hardware configuration, exception—resets and interrupts, the 68HC12 clock module and standard timer module (TIM), the 68HC12 memory system, analog-to-digital (ATD) converter, and 68HC12 communications system—multiple serial interface. For electrical and computer engineers. 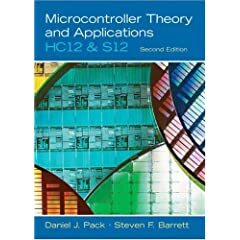 A textbook for a graduate course in Design and Fabrication of Microelectromechanical Devices, and a useful reference for professionals. Contains a wide range of subject matter dealing with the fundamentals of the field of microelectromechanical engineering. Topics include heat flow, electronics, and dynamics of systems. DLC: Microelectromechanical systems. Multi-Carrier Techniques for Broadband Wireless Communications provides an accessible introduction to OFDM-based systems from a signal processing perspective. The first part presents a concise treatment of some fundamental concepts related to wireless communications and multicarrier systems, while the second offers a comprehensive survey of recent developments on a variety of critical design issues. These include synchronization techniques, channel estimation methods, adaptive resource allocation and practical schemes for reducing the peak-to-average power ratio of the transmitted waveform. Contents: Fundamentals of OFDM/OFDMA Systems; Time and Frequency Synchronization; Channel Estimation and Equalization; Joint Synchronization, Channel Estimation and Data Symbol Detection in OFDMA Uplink; Dynamic Resource Allocation; Peak-to-Average Power Ratio (PAPR) Reduction. Digital images have become mainstream of late notably within HDTV, cell phones, personal cameras, and many medical applications. The processing of digital images and video includes adjusting illumination, manufacturing enlargements/reductions, and creating contrast. This development has made it possible to take long forgotten, badly damaged photos and make them new again with image estimation. It can also help snapshot photographers with image restoration, a method of reducing the influence of an unsteady hand. Revolutionary network processors are already making sweeping changes in the network design field. Microchips optimized for high-speed communications, they impact everything from switching to security. These programmable chip sets are being rolled out with great fanfare by Intel, IBM, Motorola, Agere and others, but network designers and analysts know very little about them. This book is a very practical education in what these products look like under the hood and how to make the most of them. Offers a systematic approach to PIC programming and interfacing using Assembly and C languages. Offering numerous examples and a step-by-step approach, it covers both the Assembly and C programming languages and devotes separate chapters to interfacing with peripherals such as Timers, LCD, Serial Ports, Interrupts, Motors and more. A unique chapter on hardware design of the PIC system and the PIC trainer round out coverage. Systematic coverage of the PIC18 family of Microcontrollers. Assembly language and C language programming and interfacing techniques. Thorough coverage of Architectures and Assembly language programming of the PIC18. Thorough coverage of C language programming of the PIC18. 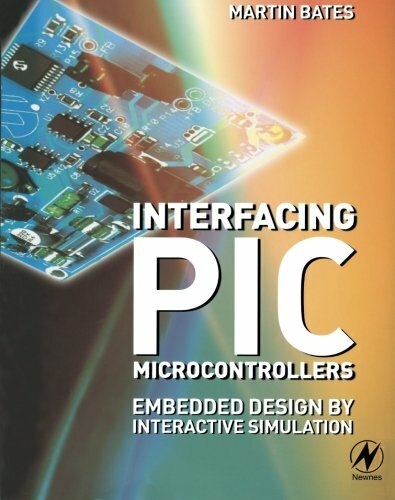 Separate chapters on programming and interfacing the PIC with peripherals – Includes information on how to interface the PIC with LCD, keyboard, ADC, DAC, Sensors, Serial Ports, Timers, DC and Stepper Motors, Optoisolators, and RTC. Covers how to program each peripheral, first using the Assembly language and then using the C language. Those involved with PIC programming and interfacing using Assembly and C languages. This book offers a detailed and comprehensive presentation of the basic principles of interconnection network design, clearly illustrating them with numerous examples, chapter exercises, and case studies. It incorporates hardware-level descriptions of concepts, allowing a designer to see all the steps of the process from abstract design to concrete implementation. -Case studies throughout the book draw on extensive author experience in designing interconnection networks over a period of more than twenty years, providing real world examples of what works, and what doesn’t. -Tightly couples concepts with implementation costs to facilitate a deeper understanding of the tradeoffs in the design of a practical network. -A set of examples and exercises in every chapter help the reader to fully understand all the implications of every design decision. Completely revised and updated, Fundamentals of Java: Comprehensive Course, Third Edition covers all of the AP requirements for Computer Science Exams A and AB. By taking a multilevel approach to teaching Java, this text is suitable for a wide range of students, from beginners to those ready for advanced data structures. Since it is non-software specific, it can be used with any Java program compiler, including Borland, Sun Microsystems, Symantec and others. A concise, four-color IS concepts book with a lively, contemporary writing style at a student-friendly price. Information Systems Essentials Information Systems Essentials comes with more and better ancillaries than any other essentials text. An additional unique feature is the opening unit, explaining the benefit and impact of IS on each business career. This chapter addresses the frequently-cited problem of effectively showing students the relevance of this course. Information Systems Essentials includes the first nine chapters from Haag MIS 5e, representing what introductory MIS students should definitely know. An appendix includes the two XLMs from Haag MIS 5e: hardware/software and telecommunications. Linux kernel development, 2nd ed. The Linux kernel is one of the most important and far-reaching open-source projects. 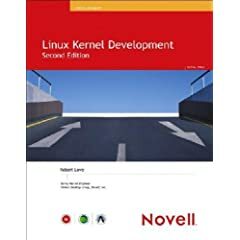 That is why Novell Press is excited to bring you the second edition of Linux Kernel Development, Robert Love’s widely acclaimed insider’s look at the Linux kernel. This authoritative, practical guide helps developers better understand the Linux kernel through updated coverage of all the major subsystems as well as new features associated with the Linux 2.6 kernel. You’ll be able to take an in-depth look at Linux kernel from both a theoretical and an applied perspective as you cover a wide range of topics, including algorithms, system call interface, paging strategies and kernel synchronization. Get the top information right from the source in Linux Kernel Development. # Problem-Solving Focus: Post goes farther than any other author to show the connection between technology and the business problems it can solve. # Post goes farther than any other author to show the connection between technology and the business problems it can solve. # A favorite of all reviewers – this feature provides colorful insight to the sometimes messy and often entertaining reality of implementing IT solutions. # More detailed than any other text, these cases provide MBA-level background and detail. # Organized around business themes: Infrastructure, Operations/Transactions, Tactics/Strategies, and Organizing Businesses and Systems. # Allows the instructor to deliver a cohesive and well-organized business theme. # Chapter opener – each chapter opens with a stated business problem, a lead figure illustrating the problem, and a lead case that exemplifies the implications of the problem on a company. # Creates a consistent and thorough message that identifying problems is the first step in understanding what technology can be used to resolve them. # MISource: Allows instructors to avoid “re-teaching” software skills that students should have prior to taking this course. # Allows instructors to avoid “re-teaching” software skills that students should have prior to taking this course. Introduces the mathematical foundations of linguistics to computer scientists, engineers, and mathematicians interested in natural language processing. This book covers an array of topics including phonology and morphology, probabilistic approaches, complexity, learnability, and the analysis of speech and handwriting. Complex, challenging, and stimulating, this book addresses information system analysis and design; it is full of information that shows the organizational process that a team of business and systems professionals use to develop and maintain computer-based information systems. It stresses the importance of responding to and anticipating problems through innovative uses of information technology. The book provides an excellent foundation for systems development, then goes on to making the business case, analysis, design, implementation and maintenance. For future systems analysts, or for those information technology that need a great resource for implementing new ideas and strategies for success. Intellectual property owners must continually exploit new ways of reproducing, distributing, and marketing their products. However, the threat of piracy looms as a major problem with digital distribution and storage technologies. Multimedia Watermarking Techniques and Applications covers all current and future trends in the design of modern systems that use watermarking to protect multimedia content. Containing the works of contributing authors who are worldwide experts in the field, this volume is intended for researchers and practitioners, as well as for those who want a broad understanding of multimedia security. In the wake of the explosive growth of digital entertainment and Internet applications, this book is the definitive resource on the subject for scientists, researchers, programmers, engineers, business managers, entrepreneurs, and investors. New perspectives on computer concepts : introductory, 10th ed. Antenna theory : analysis and design, 3rd ed. * New coverage of microstrip antennas provides information essential to a wide variety of practical designs of rectangular and circular patches, including computer programs. * Applications of Fourier transform (spectral) method to antenna radiation. * Updated material on moment methods, radar cross section, mutual impedances, aperture and horn antennas, compact range designs, and antenna measurements. A New Emphasis on Design! Balanis features a tremendous increase in design procedures and equations. This presents a solid solution to the challenge of meeting real-life situations faced by engineers. Computer programs contained in the book-and accompanying software-have been developed to help engineers analyze, design, and visualize the radiation characteristics of antennas. 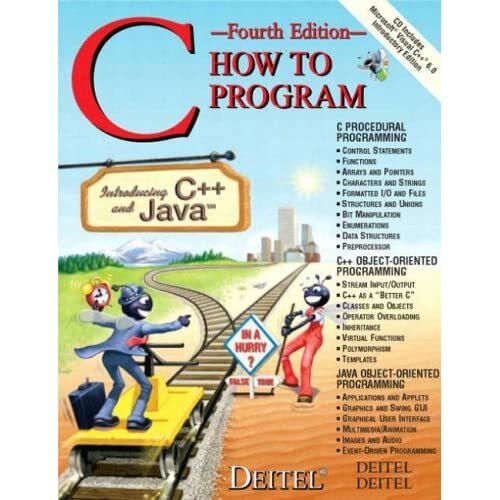 C : how to program, 4th ed. Publisher Pearson Education South Asia Pte. Ltd. Highly practical in approach, this book introduces learners to the fundamental notions of structured programming and software engineering. It covers the full C language, key library functions, object-oriented programming in C++ and Java, and event-driven GUI programming in Java. For individuals beginning their mastery of C Programming. The book covers 100 tips and tricks that were collected from NetBeans documentation, blogs, forums, and the NetBeans community. The 100 NetBeans Tips and Tricks book includes the following: Source Code Editing, Editor Insights, Navigation, Projects, Automate Tasks With Ant, GUI Builder, Look and Feel, Time Savers, Space Savers, Keyboard, Documentation and Help, Advanced and Miscellaneous, The NetBeans IDE 6.1 Installer. This book traces the evolution of computation, from early civilisations 3000 B.C. to the latest key developments in modern times. This useful and lively text provides a comprehensive introduction to the key topics in the history of computing, in an easy-to-follow and concise manner. It covers the significant areas and events in the field – from the ancient Egyptians through to the present day – and both gives the reader a flavour of the history and stimulates further study in the subject. 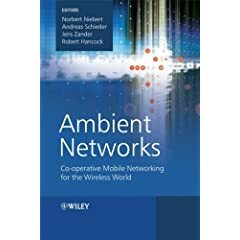 This book offers a complete and detailed overview of the Ambient Networking concept and its core technologies. The authors explain the problems with current mobile IP networks and the need for a new mobility-aware IP-based control architecture, before presenting the Ambient Networking concept itself and the business opportunities that it offers. The architecture, components, features and challenges of Ambient Networking are covered in depth, with comprehensive discussions of multi-radio access, generic Ambient Network signalling, mobility support, context and network management and built-in media delivery overlay control. This text covers what students need to know about basic Java programming in a clear, straight-forward writing style. A central aim and ever-lasting dream of computer science is to put the development of hardware and software systems on a mathematical basis which is both firm and practical. Such a scientific foundation is needed especially for the construction of reactive programs, like communication protocols or control systems. For the construction and analysis of reactive systems an elegant and powerful theory has been developed based on automata theory, logical systems for the specification of nonterminating behavior, and infinite two-person games. The 19 chapters presented in this multi-author monograph give a consolidated overview of the research results achieved in the theory of automata, logics, and infinite games during the past 10 years. Special emphasis is placed on coherent style, complete coverage of all relevant topics, motivation, examples, justification of constructions, and exercises. C++ programming : program design including data structures, 3rd ed. Intended for a two-semester course covering CS1 and CS2 topics, this text contains numerous clear and complete explanations and examples. With a strong focus on problem-solving, the book offers comprehensive coverage of introductory C++ programming topics and then moves the students confidently into more advanced concepts. Each chapter contains classroom-tested pedagogical features, including full-color code and comments, syntax boxes with explanation and examples, and complete programming exercises. All programs and exercises have been quality assurance tested with Microsoft Visual C++ .NET, available as an optional compiler with the text. Combinatorial optimization : theory and algorithms, 4th ed. This comprehensive textbook on combinatorial optimization places special emphasis on theoretical results and algorithms with provably good performance, in contrast to heuristics. It has arisen as the basis of several courses on combinatorial optimization and more special topics at graduate level. It contains complete but concise proofs, also for many deep results, some of which did not appear in a textbook before. Many very recent topics are covered as well, and many references are provided. Thus this book represents the state of the art of combinatorial optimization. This fourth edition is again significantly extended, most notably with new material on linear programming, the network simplex algorithm, and the max-cut problem. Many further additions and updates are included as well. Computing Essentials 2008 Intro edition is a computing concepts text that focuses on current coverage of a broad range of computing topics, including computer components, applications software, databases, storage devices, etc. This O’Leary concepts text provides a complete learning package focusing on the most important and essential concepts of information technology. Students are given a streamlined, concise, attractive approach to the fundamental issues surrounding the world of computing. Features include strong concept reinforecement, relevant research, new application-based material, easy-to-follow design and student friendly design. This text also correlates with SimNet Online, our online training and assessment program for office 2007 and also computing concepts! 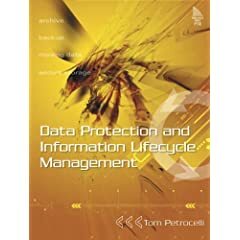 This book introduces Information Lifecycle Management (ILM), a powerful new strategy for managing enterprise information based on its value over time. Using ILM to identify your highest-value data and choose the right ways to protect it. Developing Quality Metadata is an advanced user guide that will help you improve your metadata by making it accurate and coherent with your own solutions. This book is designed to get you thinking about solving problems in a proactive and productive way by including practical descriptions of powerful programming tools and user techniques using several programming languages. For example, you can use shell scripting as part of the graphic arts and media production process, or you can use a popular spreadsheet application to drive your workflow. The concepts explored in this book are framed within the context of a multimedia professional working on the Web or in broadcasting, but they are relevant to anyone responsible for a growing library of content, be it audio-visual, text, or financial. This book is designed to give readers of all backgrounds and experience levels a well-researched and engaging introduction to the fascinating realm of network security. With real-world examples that reflect today’s most important and relevant security topics, Penetration Testing will address how and why people attack computers and networks, so that readers can be armed with the knowledge and techniques to successfully combat hackers. Because the world of information security changes so quickly and is often the subject of much hype, this book also aims to provide a clear differentiation between hacking myths and hacking facts. Straightforward in its approach, this valuable resource teaches the skills needed to go from hoping a system is secure to knowing that it is. In this new first edition, well-known author Behrouz Forouzan uses his accessible writing style and visual approach to simplify the difficult concepts of cryptography and network security. Forouzan presents difficult security topics from the ground up. A gentle introduction to the fundamentals of number theory is provided in the opening chapters, paving the way for the student to move on to more complex security and cryptography topics. Difficult math concepts are organized in appendices at the end of each chapter so that students can first learn the principles, then apply the technical background. Hundreds of examples, as well as fully coded programs, round out a practical, hands-on approach which encourages students to test the material they are learning. Place of Publication San Francisco, Calif.
Customizable processors have been described as the next natural step in the evolution of the microprocessor business: a step in the life of a new technology where top performance alone is no longer sufficient to guarantee market success. Other factors become fundamental, such as time to market, convenience, energy efficiency, and ease of customization. This book is the first to explore comprehensively one of the most fundamental trends which emerged in the last decade: to treat processors not as rigid, fixed entities, which designers include “as is” in their products; but rather, to build sound methodologies to tailor-fit processors to the specific needs of such products. This book addresses the goal of maintaining a very large family of processors, with a wide range of features, at a cost comparable to that of maintaining a single processor. - First book to present comprehensively the major ASIP design methodologies and tools without any particular bias. - Written by most of the pioneers and top international experts of this young domain. - Unique mix of management perspective, technical detail, research outlook, and practical implementation. This book helps engineers to grasp fundamental theories and design principles by presenting physical and intuitive explanations of switched-capacitor circuits. Numerous circuit examples are discussed and the author emphasizes the most important and fundamental principles involved in implementing state-of-the-art switched-capacitor circuits for analog signal processing and power management applications. Throughout the book, the author presents numerous step-by-step tutorials and gives practical design examples. While some quantitative analysis is necessary to understand underlying concepts, tedious mathematical equations and formal proofs are avoided. An intuitive appreciation for switched-capacitor circuits is achieved. Much of the existing information on contemporary switched-capacitor circuit applications is in the form of applications notes and data sheets for various switched-capacitor ICs. This book compiles such information in a single volume and coherently organizes and structures it. The author has his own website at www.mingliangliu.com. This book provides practical and comprehensive coverage of the theory and techniques behind alias-free digital signal processing. “Key features: ” Analyses issues of sampling, randomised and pseudo-randomised quantisation and direct and indirectly randomised sampling. Examines periodic and hybrid sampling, including information on processing algorithms and potential limitations imposed by signal dynamics. Sets out leading methods and techniques for complexity reduced designs, in particular designs of large aperture sensor arrays, massive data acquisition and compression from a number of signal sources and complexity-reduced processing of non-uniform data. Presents examples of engineering applications using these techniques including spectrum analysis, waveform reconstruction and the estimation of various parameters, emphasising the importance of the technique for developing new technologies. Links DASP and traditional technologies by mapping them into embedded systems with standard inputs and outputs. “Digital Alias-free Signal Processing” is ideal for practising engineers and researchers working on the development of digital signal processing applications at extended frequencies. 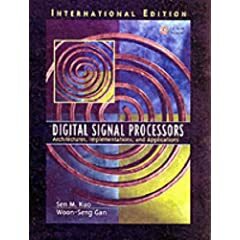 It is also a valuable reference for electrical and computer engineering graduates taking courses in signal processing or digital signal processing. 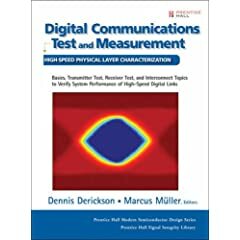 Readers will gain a thorough understanding of the inner workings of digital high-speed systems, and learn how the different aspects of such systems can be tested. The editors and contributors cover key areas in test and measurement of transmitters (digital waveform and jitter analysis and bit error ratio), receivers (sensitivity, jitter tolerance, and PLL/CDR characterization), and high-speed channel characterization (in time and frequency domain). Extensive illustrations are provided throughout. This text/reference provides students and practicing engineers with an introduction to the classical methods of designing electrical circuits, but incorporates modern logic design techniques used in the latest microprocessors, microcontrollers, microcomputers, and various LSI components. The book provides a review of the classical methods e.g., the basic concepts of Boolean algebra, combinational logic and sequential logic procedures, before engaging in the practical design approach and the use of computer-aided tools. The book is enriched with numerous examples (and their solutions), over 500 illustrations, and includes a CD-ROM with simulations, additional figures, and third party software to illustrate the concepts discussed in the book. * Modern applications are discussed in detail, including Karnaugh maps, PLD notation (PAL, PLA, FPGA) and more * Covers fundamental topics as Boolean algebra, logic gates, flip-flops, minimization, etc. This book offers learners a hands-on approach to understanding architecture and programming of DSP processors, and the design of real-time DSP systems. It contains real-world applications, and implementation of DSP algorithms using both the fixed-point and floating-point processors. Other topics include FIR Filtering, IIR Filtering, Fast Fourier Transforms. and Adaptive Filtering. For use as a desktop reference for practicing engineers to learn DSP concepts and to develop real-time applications at work. Written in accordance with the 2008 National Electrical Code, this new book provides readers with a comprehensive introduction to the essential elements of electrical grounding and bonding. It examines the critical concepts of calculating conductor sizes, reading and interpreting NEC tables, the use of grounded conductor connections in DC and AC systems, as well as various installations and sizing. Material is reader-friendly and is accompanied by straightforward, easy-to-understand explanations of key concepts that foster understanding. A functional use of color and dynamic illustrations augments the book and further supports this thorough student- and professional-level approach to electrical grounding. Electricity for refrigeration, heating, and air conditioning, 7th ed. Ideal for students and beginning technicians, Electricity for Refrigeration, Heating and Air Conditioning, 6E zeroes in on the basic electrical principles necessary to understand today’s modern control systems. This extraordinarily practical approach allows readers to focus exclusively on the electronics information they will use in the field, without bogging them down in unnecessary theory. Newly-updated in direct response to user feedback, this edition now features all-new chapters on electrical safety, reading wiring diagrams, and troubleshooting modern HVAC-R control systems and circuitry. A second color has also been added throughout the book to highlight “must-know” information for readers, such as the circuits being discussed in schematic diagrams, as well as the direction of the current flow within circuits. As in past editions, emphasis is on developing systematic diagnosis and troubleshooting methods and procedures in order to enable readers to become highly-skilled, professional HVAC-R service technicians. A comprehensive glossary is also included to assist those who are new to the field in understanding and using industry terms. Electrical wiring commercial, 13th ed. Updated to reference the 2008 National Electrical Code, this edition of Electrical Wiring – Commercial guides readers step-by-step through the basics of commercial wiring. With a practical, straightforward approach, and a new, full-color design that aids in complex wiring diagrams, this book provides more learning tools than ever before for the critical tasks and responsibilities that face today’s professional commercial electricians. With new coverage of energy conservation laws like Title 24, as well as updated coverage of today’s important concepts like ground fault circuit interrupters, compact fluorescent lamps, motor burnout problems, and 2008 NEC grounding requirements, readers can feel confident they are getting the very latest in industry standards and procedures. A complete set of commercial building plans is also included, offering opportunities for hands-on practice in interpreting and applying Code requirements and making this an ideal resource for anyone who will work in the commercial electricity industry. Electrical wiring industrial, 13th ed. Updated to reference the 2008 National Electrical Code, this edition of Electrical Wiring Industrial guides readers step-by-step through the wiring of an entire industrial building, making this an ideal resource for anyone who will work in the industrial electricity industry. With a practical, straightforward approach, the book begins by covering the tasks and responsibilities that face today’s professional industrial electricians, including: installation of electrical service, power and lighting; special new construction systems; changeovers from old systems; planning for growth and increased capacity; and periodic maintenance procedures. Specific references to the 2008 National Electrical Code throughout the book shows readers how to incorporate codes and principles into everyday practice and procedures. A complete set of industrial building plans is also included, offering opportunities for hands-on practice in interpreting and applying Code requirements to sitework, feeder bus systems, panelboards, fiber optics, harmonics, hazardous locations, and more. Electrical wiring residential, 16th ed. This bestselling book has already helped tens of thousands of readers to learn the basics of residential wiring in both new and existing homes, and it is now updated to comply with the 2008 National Electrical Code. Electrical Wiring Residential, 16E uses a practical approach and comprehensive coverage to guide readers step-by-step through the critical tasks and responsibilities that face today’s professional residential electricians. With new coverage of energy conservation laws like Title 24, as well as updated coverage of today’s important concepts like ground fault circuit interrupters, smoke, heat, and carbon monoxide alarms, and 2008 NEC requirements for house wiring, readers can feel confident they are getting the very latest in industry standards and procedures. A complete set of residential building plans is also included, offering opportunities for hands-on practice in interpreting and applying Code requirements and making this an ideal resource for anyone who will work in the residential electricity industry. 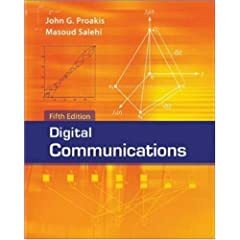 This book offers an introduction to the analysis and design of digital communication systems. Updated with a discussion of modern technological advances, it provides detailed coverage of digital modulation and demodulation techniques, channel coding and decoding, source coding, spread spectrum signals, channel equalization, multiuser communications, and modulation and coding for fading multipath channels. A review of important topics in probability and stochastic processes is included. SpringerLink Online Journal Collection On-Trial! The SpringerLink Online Journal collection is available on-trial from August 11 to September 11, 2008. This online database includes more than 1,250 peer-reviewed journals, with more than 600,000 individual documents. Most titles include complete back issues to 1966, with digital conversion of all back issues under way, making every title available from Volume I, Issue 1. For further details, you may e-mail us at library@engglib2.upd.edu.ph or you can leave a comment on this blog.